In her forthcoming memoir "What happened," obtained early by CNN, Hillary Clinton reflects on her public image, Putin's election meddling, her loss and her marriage. On her likability, or lack thereof: "What makes me such a lightning rod for fury? I'm really asking. I'm at a loss... I think it's partly because I'm a woman." On Russia's interference in the election: "There's nothing I was looking forward to more than showing Putin that his efforts to influence our election and install a friendly puppet had failed. I know he must be enjoying everything that's happened instead. But he hasn't had the last laugh yet." On Vladimir Putin: Clinton claims he carried a "personal vendetta" toward her, and held a "deep resentment" against the U.S. "I never imagined that he would have the audacity to launch a massive covert attack against our own democracy, right under our noses -- and that he'd get away with it." Her campaign strategy vs. Trump's: "I think it's fair to say that I didn't realize how quickly the ground was shifting under all our feet. I was running a traditional presidential campaign with carefully thought-out policies and painstakingly built coalitions, while Trump was running a reality TV show that expertly and relentlessly stoked Americans' anger and resentment." On losing the election: "I go back over my own shortcomings and the mistakes we made. I take responsibility for all of them. You can blame the data, blame the message, blame anything you want -- but I was the candidate. It was my campaign. Those were my decisions." On her marriage to Bill Clinton: "There were times that I was deeply unsure about whether our marriage could or should survive. But on those days, I asked myself the questions that mattered to me: Do I still love him? And can I still be in this marriage without becoming unrecognizable to myself -- twisted by anger, resentment, or remoteness? The answers were always yes." 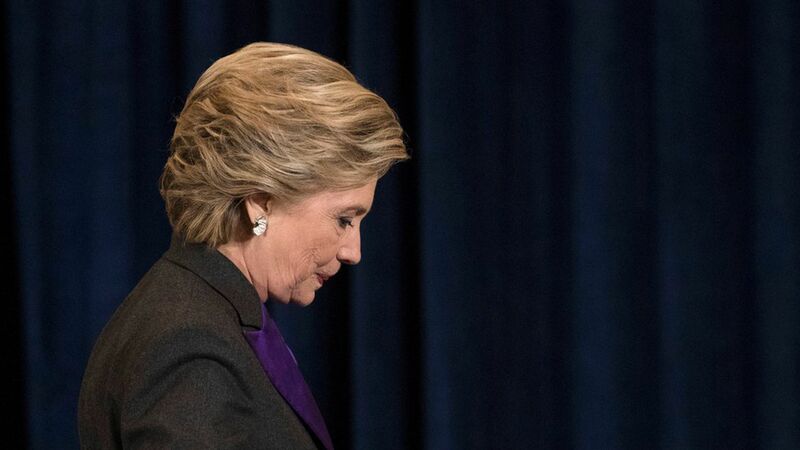 The undoing of her image: It went from a picture of steady leader to one tainted by scandal, and "[James] Comey's letter turned that picture upside down." On Obama's failure to address Russia's cyber attack: "I do wonder sometimes about what would have happened if President Obama had made a televised address to the nation in the fall of 2016 warning that our democracy was under attack. Maybe more Americans would have woken up to the threat in time. We'll never know." The last 24 hours of her campaign: Clinton describes how Obama hugged her and whispered, "You've got this. I'm so proud of you." Her call congratulating Trump: "[It was] without a doubt one of the strangest moments of my life... I congratulated Trump and offered to do anything I could to make sure the transition was smooth. It was all perfectly nice and weirdly ordinary, like calling a neighbor to say you can't make it to his barbecue. It was mercifully brief... I was numb. It was all so shocking." Critiques from party members: "Joe Biden said the Democratic Party in 2016 'did not talk about what it always stood for -- and that was how to maintain a burgeoning middle class.' I find this fairly remarkable, considering that Joe himself campaigned for me all over the Midwest and talked plenty about the middle class." On her plan to remain in the public sphere: "There were plenty of people hoping that I, too, would just disappear. But here I am."